New driving Laws come into effect today! Make sure you know the rules. Drivers caught using a phone within two years of passing their test will have their licence revoked under new rules in England, Scotland and Wales. 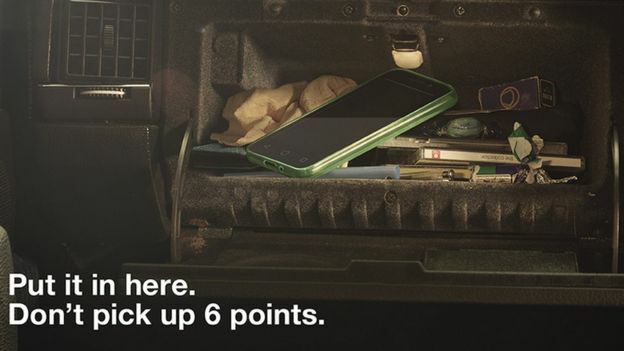 Penalties for using a phone at the wheel double from 1 March to six points and a £200 fine. New drivers who get six points or more must retake their practical and theory. More experienced drivers can be banned if they get 12 points in three years. The tougher punishments come alongside a hard-hitting advertising campaign. In 2015 – the latest year for which figures are available – 22 people were killed and 99 seriously injured in accidents where a driver was using their phone. Police forces have begun a seven day crackdown, with extra patrols and an “increased focus” on stopping people using their phones while driving. Can I check social media or texts if I’m queuing in traffic or stopped at traffic lights? No – a hand held phone cannot be used, even if stopped at lights. Texting and scrolling social media (even if the phone is mounted on a hands-free holder) is distracting and dangerous. It doesn’t come under the handheld mobile phone law but the police may decide to charge you with a number of other offences. Can I use my phone to listen to music, play podcasts or watch video clips? You can’t watch video clips – not even if your phone is mounted in a hands-free holder. You can use your phone to listen to music and podcasts but only if your phone is in a hands-free holder or connected by Bluetooth. However, just as you can be distracted by the noise of a car radio, if it affects your ability to drive safely, you could still be prosecuted by the police. Can I use my phone’s sat nav? Yes – as long as the phone is mounted in a hands-free holder. If it’s in your hands, it’s illegal. However, if you are distracted by the sat nav and it affects your ability to drive safely, you could still be prosecuted by the police. Can I pull over to check my phone? Yes, providing you are safely parked with the engine switched off, you can pull into a lay-by or pull up on a single yellow line (providing there are no road markings showing restrictions at that time). A dashboard holder or cradle, earphones or a Bluetooth connection. It is illegal to use hand-held microphones or to hold your phone out on loudspeaker. Smart watches and voice-activated software are legal, but again can be a distraction, and the driver may be liable for other offences. So what can I do on my phone? You can only use your phone in your hands if you are safely parked. The only exception is if you need to call 999 or 112 in an emergency and it is unsafe or impractical to stop. The same rules apply, and it is also illegal to use a hand-held phone or similar device when supervising a learner driver or motorcycle rider. Paul Newman’s sister Ellen was 46 when she was killed just yards from her house in January 2005. 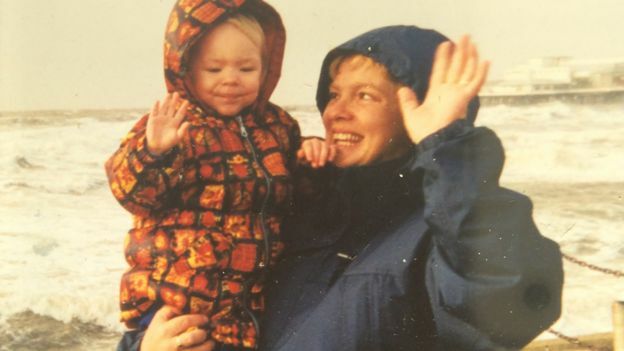 Speaking to BBC Radio 4’s Today programme, Mr Newman said: “She was on a shopping trip, walking back home on a pavement and a car left the road and ploughed into her – up to 30 feet into a field. And we lost a beautiful sister. “We’d go home to an empty house…it destroyed us. It destroys families – it destroys people”. The young driver was using his mobile phone when he lost control of his car. “He didn’t even go to prison – he was a young lad, quite arrogant, no remorse,” said Mr Newman. Ellen was a fantastic doting mother and grandmother to three lovely girls, “who still ask for their nanna today”, he added. Why are the laws changing now? 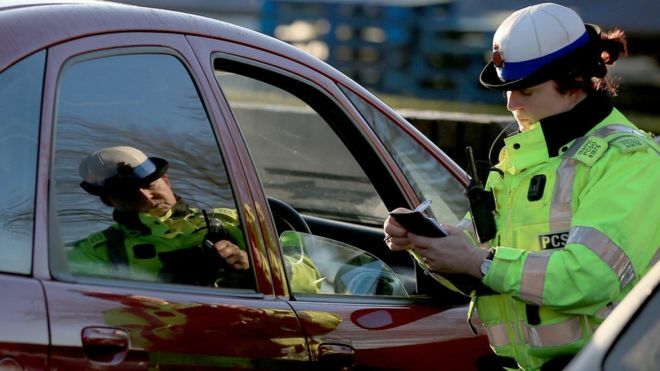 About 3,600 drivers were handed penalties in the last co-ordinated enforcement week from 23-29 January, the Department for Transport said. Adverts aimed at discouraging phone use have been developed by the government’s road safety group Think! and the AA Charitable Trust, and will be shown at cinemas and on billboards, radio and social media. Transport Secretary Chris Grayling said: “It may seem innocent, but holding and using your phone at the wheel risks serious injury and even death to yourself and other road users. Calls to prevent drivers using phones intensified last year in the wake of several high-profile cases and research indicating that it was widespread. In October, lorry driver Tomasz Kroker, who killed a mother and three children while distracted by his phone, was jailed for 10 years. Edmund King, president of the AA, said too many drivers were addicted to their phones. By submitting a comment you grant Active Logistics (Scotland) Ltd a perpetual license to reproduce your words and name/web site in attribution. Inappropriate and irrelevant comments will be removed at an admin’s discretion. Your email is used for verification purposes only, it will never be shared. A Merry Xmas and A Happy New Year to all our customers from Active Andy and All at Active Logistics..
Coo’s that in the back of the van? ?